Right after the official release of iPhone 5, Apple official website demonstrates this new device as the lightest, thinnest and fastest one. In addition, Apple sneers at the current popular phablet. Although iPhone 5 is not as big as the most smartphones in the market, it is just fine. All manufacturers can design smartphones with larger display, but big screen may make the phone difficult for users to use. 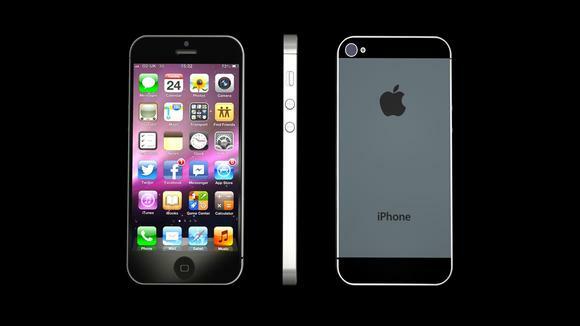 Apple states that the size design of iPhone 5 is just to the point, it becomes bigger but its width remains the same with iPhone 4S. So you can handle with this phone by only one hand. In order to produce iPhone with thinner body, Apple engineers try the best to lose iPhone’s weight, for example, they change the micro-SIM to nano-SIM. Apple makes an emphasis on the support of LTE and CDMA simultaneously. The enhanced battery supports 8-hour LTE browsing. According to the introduction, the fastest iPhone 5 4G network speed can be 100Mbps. The supported specifications for Wifi 802.11n include 2.5GHz and 5GHz, the running speed can be as fast as 150Mbps. An additional point worth mentioning is that iPhone 5 adopts diamond crystal plane which makes the phone more delicate. It doesn’t seem possible. That an iPhone with so much-a larger display, a faster chip, ultrafast wireless technology, an 8MP iSight camera—could be so thin and so light. But it is. In fact,iPhone 5 is the thinnest and lightest iPhone ever. The 4-inch Retina display lets you see more of everything. And everything you see is vivid and lifelike. It’s a larger, more beautiful canvas made the right way. Because even though the display is bigger, iPhone 5 is the same width as iPhone 4S. So it’s just as easy to use with one hand. With support for the latest wireless technologies, iPhone 5 connects to more networks all over the world. And Wi-Fi is faster, too. So you can browse, download and stream content at remarkable speeds, wherever you happen to be. The all-new Apple-designed A6 chip in iPhone 5 is powerful but not power hungry. CPU performance and graphics performance are up to twice as fast as on the A5 chip. But even with all that speed, iPhone 5 gives you outstanding battery life.